« CalDigit Offers Sizzling Summer Savings! Rumored Apple Tablet, Same Form-Factor as iPhone? Rumors of an alleged Apple tablet have been circulating for years. At the same time rumors of an Apple netbook have been picking up speed. What are the odds that Apple with release two such devices? Geeky Mac has reason to believe that both these rumored devices will be the same product in the end. And while the form-factor is likely to be similar to the iPhone, but on a larger scale, there is much confusion about it’s OS. The iPhone OS is extremely powerful, and ideal fora device like the iPhone, but is it enough for something more substantial? However, that question raises more questions, like what is the iPhone OS cable of with more processor power, and an external keyboard. 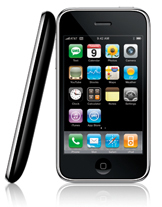 After all the iPhone OS is based on OS X, and the public has yet to see the power of iPhone OS 3.0. At the end of the day, every user, has a different purpose for their computer, but almost all will need to check email and browse the web. While the iPhone has made this easy to do almost anywhere, it’s not necessarily the best experience. Once this bridge is gaped, a netbook/tablet becomes very likely. The thing that Apple is known for is creating a devices that can be used by everyone. Now they have line of iPods and Macs. Different models for different people. How will a netbook/tablet fit into the mix? That is the question that Apple must be trying to answer. But take a look at the MacBook Air. Small form factor, less power. Ideal for some, but not different enough to justify the uses of a regular MacBook. Is there enough market for the netbook/tablet? The answer is in the navigation, and typing capabilities. This is what limits the iPhone, but adding a full sized keyboard is impossible. However, a tablet with touch capabilities could also support a pull out keyboard. The end product could be very interesting, and very well could revolutionize personal computing.